The secondary topic of the latest episode of Discovery Channel's popular Mythbusters program (Season 5, Episode 24 "Confederate Steam Gun"), which aired on Wednesday, 5 December 2007, is the supposed "myth" that it is possible to beat a polygraph test. (It is, despite the show's conclusion that it is merely "plausible." For documentation, see The Lie Behind the Lie Detector [1 mb PDF].) The episode will re-air this Saturday, 8 December. I encourage all to watch. In the episode, Mythbusters inexplicably fails to explain the truth about how a polygraph "test" actually works and (knowingly as I shall explain) presents a phony Ph.D. as an authority on matters of polygraph validity. Here's how polygraph "testing" actually works: The examinee is not supposed to know that secretly, the examiner expects answers to the so-called "probable-lie control questions" to be less than truthful. An example of a commonly-used control question is, "Did you ever lie to get out of trouble?" The examinee is steered into a denial through the suggestion, for example, that anyone who would lie to get out of trouble is the same kind of person who would commit the crime under investigation and then lie about it. But secretly, it is expected that everyone has lied to get out of trouble -- even those innocent of the crime. Reactions to the control questions are then compared to reactions to the relevant questions (those directly concerning the incident under investigation), for example, "Did you take that money from that office?" If reactions to the control questions are greater, the examinee passes. If reactions to the relevant questions are greater, the examinee fails. This simplistic methodology has no grounding in the scientific method and is inherently biased against the truthful, because the more honestly and fully one answers the control questions, and as a result feels less anxiety when answering them, the more likely one is to wrongly fail. The procedure also includes irrelevant questions such as, "Are the lights on in this room?" The polygrapher falsely expains that such questions provide a "baseline for truth" because the true answer is obvious to both examiner and examinee. But in fact, these irrelevant questions are not scored at all, but merely serve as buffers between pairs of relevant and control questions. Mythbusters explained none of this critically important information to the audience, although they could have easily done so in a minute or two. Again, the key to passing or beating a polygraph test is to exhibit stronger reactions to the control questions than to the relevant questions. Methods for doing this include the techniques of tongue-biting and mental activity (such as thinking exciting thoughts) that were shown on the episode. But these must be done timely with the asking of the control questions. Instead, the Mythbusters personnel were told to apply countermeasures "when telling the truth." It appears that they wrongly applied their countermeasures when answering the unscored irrelevant questions. It is hardly surprising that such misapplied countermeasures did not result in passing scores. I can reveal that in August of this year, I was contacted by two of Mythbusters' producers. 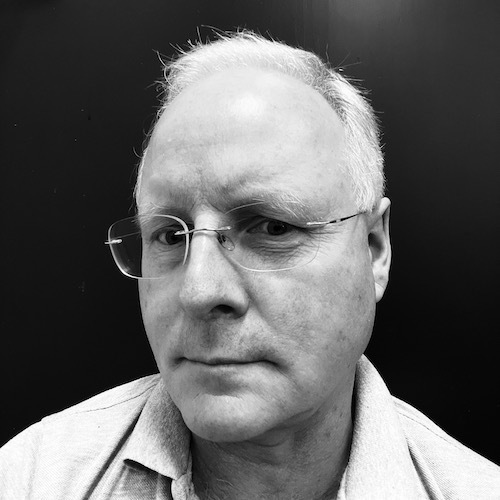 They had seen my appearance on a 2003 British television program, and after a lengthy and pleasant telephone conversation, they were interested in having me either come to San Francisco to appear on the show or be interviewed via webcam. One of the topics I was asked about in the course of our phone conversation was a polygraph examiner who might be suitable to appear on the show. They were initially interested in Bruce Burgess, who appeared in the same British show as I previously had. In a follow-up e-mail sent on 31 August 2007, I specifically warned them, in the event they chose to seek a polygraph examiner closer to home, against three prominent polygraph operators whom AntiPolygraph.org has identified as phony Ph.D.s: Ed Gelb, James Allan Matte, and Michael Martin. And I included the same hyperlinks you see here. The producers did not reply to my e-mail and did not contact me again. Mythbusters cannot say they were not warned about Michael Martin's credentials. I think they owe the public an explanation of why they knowingly chose a fraud to appear on the show and allowed him to be presented as "Dr." Martin. I hereby confer upon myself a PhD in awesomeness. Please, it's Dr. Lethe to y'all. Anyway, it is obviously in the interests of the polygraph industrial complex to keep their dirty secrets just that, secret. I wonder if they guilt trip the producers of such shows and journalists reporting on them into keeping the truth about the poly from the people? You know, "If you tell people how it really works, all of the children will be raped! The children! Do it for the children--who will all be molested!" That is, after all, a major way that they keep their minions in line. "Yeah, you're lying to people and screwing over good folks whose only disqualification is knowing too much. But, if you weren't doing this excellent work, all the children would be raped!" "Yeah, they would, wouldn't they? I'll go tell that to the misguided folks at antipolygraph.org!" Regarding bogus Ph.D.s and polygraphy, it is worth noting that the foremost polygraph organization, the American Polygraph Association (APA), does not consider it a violation of its ethical standards for a member to falsely hold himself out to the public as a Ph.D. When I filed an ethics complaint with the APA against celebrity polygrapher Ed Gelb (a past president of the APA) for fraudulently passing himself off as a Ph.D. in marketing his polygraph services, the APA replied that it's none of their business, really. 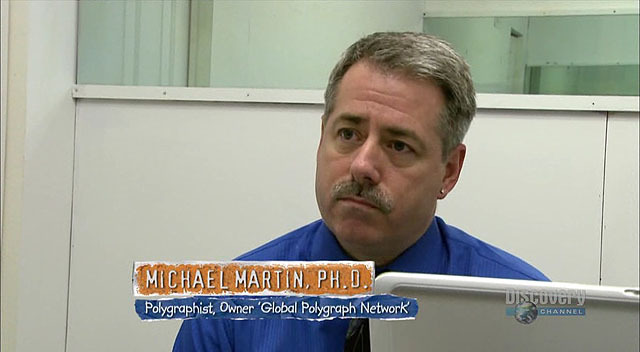 Although I am disappointed that Mythbusters deceived the public regarding "Dr." Martin's credentials, I am even more dismayed that they helped to perpetuate the myth of the lie detector. I just watched the episode of Mythbusters you are referring to and while not the best example of "journalism" I have ever watched, found it to be fairly entertaining (which is what that show is all about anyway). I also read your expected blazing diatribe attacking the methodology the show's producers used in the particular polygraph experiment used and actually agree with some of the points you make. "POLYGRAPH DEFEATED ON PRIME TIME! COUNTERMEASURES PROVED EFFECTIVE!!!!" Instead the test was completely accurate in all three examinations and in fact proved the countermeasures used by the stars to be utterly futile. It is no surprise that the countermeasures used by the Mythbusters staff did not help them to pass the polygraph. After all, they wrongly applied them to the unscored irrelevant questions instead of to the control questions. "Was that money stolen from a cashbox?" "Was that money stolen from a white envelope?" This form of testing, which has a much sounder theoretical basis than the CQT, involves asking a series of questions about details of a crime that only the perpetrator would know, in this case, the precise location from which the money was taken. It is inferred that if a subject reacts when the question matching the crime scene is asked, that he/she likely has knowledge of the crime. I am so happy to see you admit that the countermeasures attempted (some of the same ones you stess in your book) clearly did not work in this case (no surprise). Regarding the types of questions in which the CMs were performed, the examiner clearly observed deliberate movements in the charts. Who cares where they were attempted, the examinee was CAUGHT. This makes your arguement regarding the type of questions in which the CMs were attempted, ridiculous. Is it not true that regardless of the methodology you so aggressively attack, if the actors had been able to actually "Beat" the polygraph, you would have proclaimed that fact in BIG BOLD LETTERS?????????? George, in life you really can't have it both ways. I open by posing the questions that you never answered. The whole underlying premise of this show was wrong. They wrongfully assumed that a polygraph test detected truthfulness or deception, and were "busting the myth" that countermeasured could change the results of a test. What they should have done, was concentrate on proving whether or not a lie detecter actually could detect lies, which from what I have read, is the real "myth" involved in lie detectors. No it doesn't. The countermeasure whereon Tory was reportedly "caught" (via sensor pads under the seat of the chair and under his feet) was pricking himself in the leg with a pin tack. This countermeasure has never been suggested by AntiPolygraph.org. Note that the mental countermeasures and tongue-biting, misapplied as they were, appear to have gone undetected. Had Tory and Grant passed the polygraph using the countermeasures they did, in the manner they did, I would not be able to attribute their passing to the use of those countermeasures. Not bad for a "myth." Well, since Dr. Martin is such an honest man, we have no need to wonder if he might have manipulated the circumstance to suit his own purposes. Am I missing something here? Why should we even discuss a test when we can not rely on the credibility of the examiner who has a history for falsifying information? ...we have no need to wonder if he (the examiner) might have manipulated the circumstance to suit his own purposes...."
Yes, and while your at it maybe you can wonder if Old Saint Nick has been making the rounds of the local taverns with the Easter Bunny and Barney the Dinosaur. Or, while you're at it, you could wonder if St. Nick and his gang (while visiting the tavern) saw nonombre having a drink purchased by a qualified applicant that he singularly kept from being a good LEO because he "suspected" CM use. If you had asked an intelligent question instead of making a statement, he wouldn't have responded. OR - if he did he would have used CMs. Further posts to this message thread should address should substantively address the original topic.